General TV Channel / Agon Channel is a private television station from Tirana, Albania, founded on 5 April 2013 by Italian businessman Francesco Becchetti. Agon Channel in December 2014 launched on Italian digital terrestrial television network on channel 33, Agon Channel Italia, generalist channel, a sister channel of the Albanian Agon Channel. Agon broadcasts in two languages, Albanian and Italian. Italian celebrities such as Simona Ventura, Pupo, Maddalena Corvaglia, Sabrina Ferilli are associated with the station along with Albanian personalities such as Sonila Meço, Adi Krasta, Saimir Kodra, Gentian Zenelaj, Mimoza Picari, Menada Zaimi. 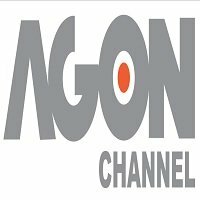 Agon channel got shut down shortly after 2015. Francesco Becchetti, the owner of the show and his mother, Liliana Condomitti were accused and wanted for money laundering. Francesco Becchetti's properties are currently frozen, and Agon Channel couldn't continue anymore. It is expected to have a re-opening in 2017.